One of the most precious resources for a state where the majority of its population lives in a desert is water. As the population grows so does the attention on this critical resource. However, as the valley has grown developers realized that lake communities and waterfront property presented an effective and unique marketing tool, and water conservationists saw the use of precious potable water to fill these decorative lakes a major concern. What’s the legislature to do? The negotiation attempted to balance the demand for scenic and recreational lakes within housing communities with the conservation of critical water resources. The result was a piece of legislation commonly known as the “Lakes Bill”. The bill states “a person shall not use any water for the purpose of filling or refilling all or a portion of a body of water ” within an active management area. (A.R.S. 45-132) Wow, that’s restrictive! But there are some exceptions. One of those is that the body of water was filled before January 1, 1987, or a substantial capital investment in the physical on-site construction of the body before January 1, 1987. Or if the body of water is an integral part of a golf course that complies with applicable conservation requirements. Another notable exception to building a body of water within an AMA is if it is filled with effluent or reclaimed water. This exception has allowed developers to continue to offer lake communities including Pinelake Estates, Fulton Ranch, Ocotillo Lakes, Estrella Mountain Ranch, and Arrowhead Ranch. This is the reason why newer lake communities must use effluent instead of other sources of water such as ground or surface water. 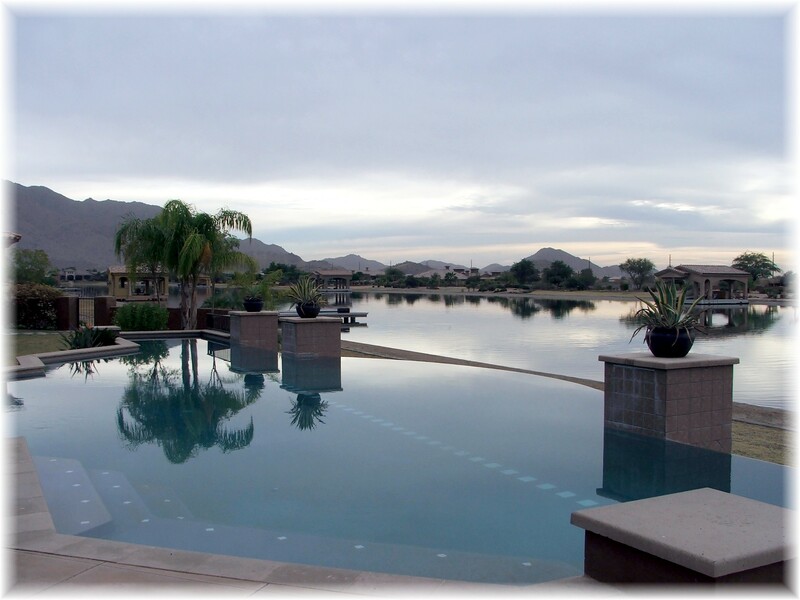 Older communities such as The Islands, Val Vista Lakes, Scottsdale Ranch, Oakwood, The Springs, Desert Harbor, and The Lakes at Tempe use different sources of water because of their construction prior to the Lakes bill in 1987. To receive a customized search for waterfront homes, please click on Send me waterfront homes for sale. 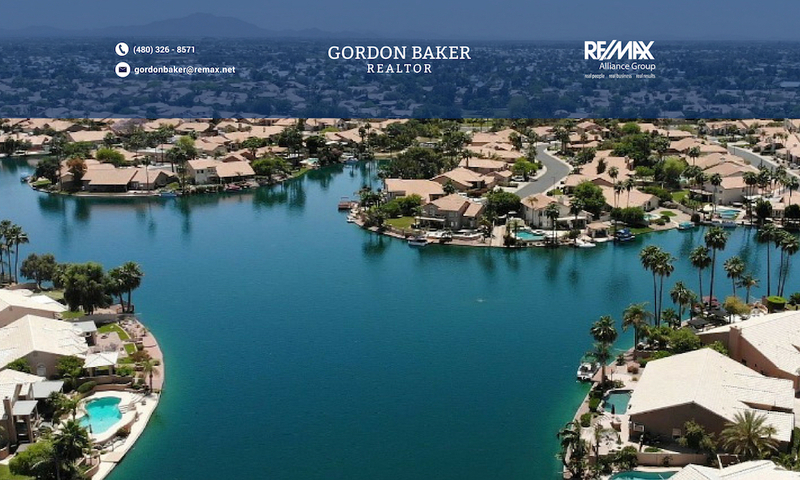 Or if you have any questions regarding the different lake communities, please don’t hesitate to call me at 480-326-8571. 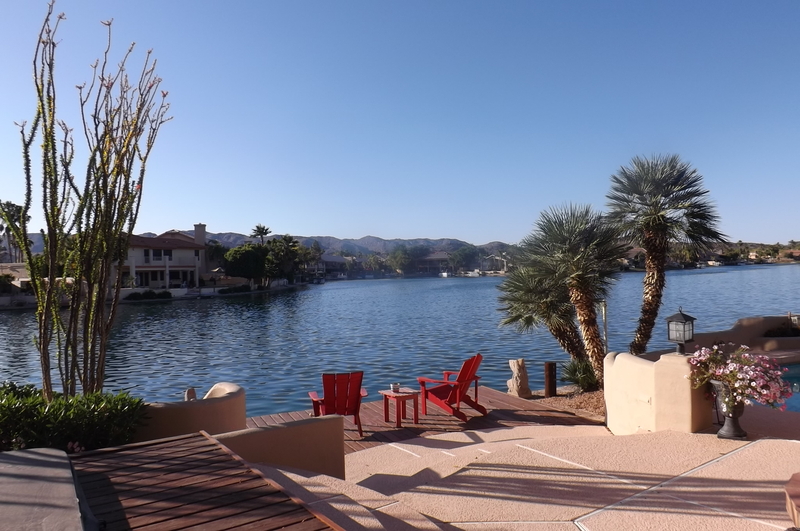 When you’re looking for waterfront property, make sure to call an agent that specializes and is knowledgeable about waterfront homes in the Phoenix area. Does this lake community allow boating?